*Opportunities - It is a course written specifically for upper-secondary students. Rich content with topics such as science, literature, history and culture give the course a strong educational and international feel. 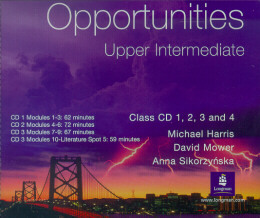 *Opportunities provides a very solid syllabus that s packed with topics relevant to today s students.como lengua extranjera (D.E.L.E., escuelas oficiales de idiomas o cualquier universidad).